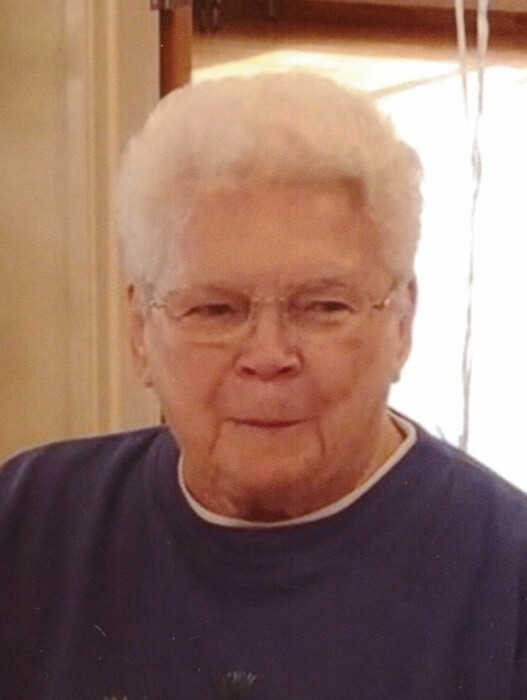 Mary Elizabeth “Granny” Crabtree, age 92, of Jerome went to with her husband, Charles R. Crabtree, and her daughters, Virginia “Ginger”, Elizabeth “Liz”, and Kathy on April 6, 2019. Mary was relentless and never afraid to speak her mind. She believed that pie crust should be homemade and that there should always be ice cream cups in the freezer and full candy dish for the great grandchildren. Mary was highly devoted to her family. She cared not only for her own children, but also grandchildren and even great grandchildren. She traveled wherever she was needed, whether that was across town or across the ocean. She was always available for whoever needed her and she did wo without question or hesitation. She neve slowed down. Mary could most recently be found working at the Jerome Senior Center. When she wasn’t working, she was playing bingo or visiting with her friends there. Mary is survived by her daughter, Joy Pigman; son, Charles (Maria) Crabtree Jr; grandchildren, Matthew, Rachel, David, Rebekah, Donald, Brandy, Michael, Thomas, Karla, Robert, and Heather; many great grandchildren and great great grandchildren. ….. Look out Heaven, she’s feisty!